We are so excited to see the November SCT Sampler landing in mailboxes and can almost hear the happy squeals from here! We have had so many amazing comments from subscribers and love that you’re enjoying your little bit of happy mail each month. Don’t we all deserve a little something each month to get excited about? We sure do! Below you will find an image of what you’ll find in your November SCT Sampler keeping in mind some products may be a little different as we share bits and pieces from the collections we’ve featured. 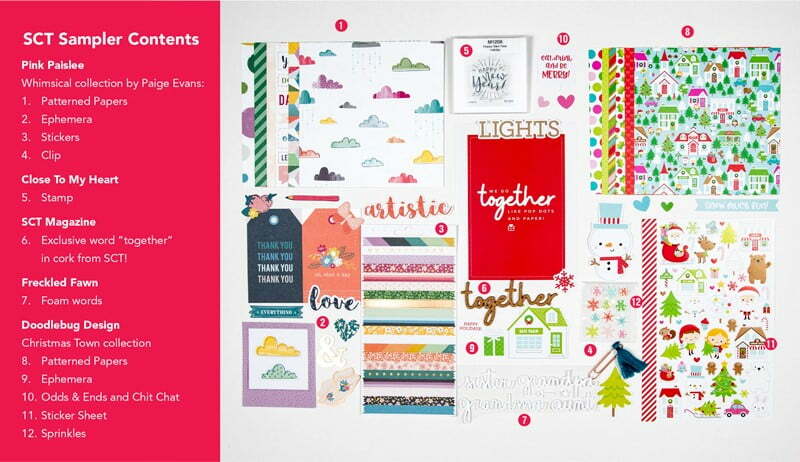 We are excited to see what you create with your SCT Sampler and hope that each month it inspires you in a whole new way! 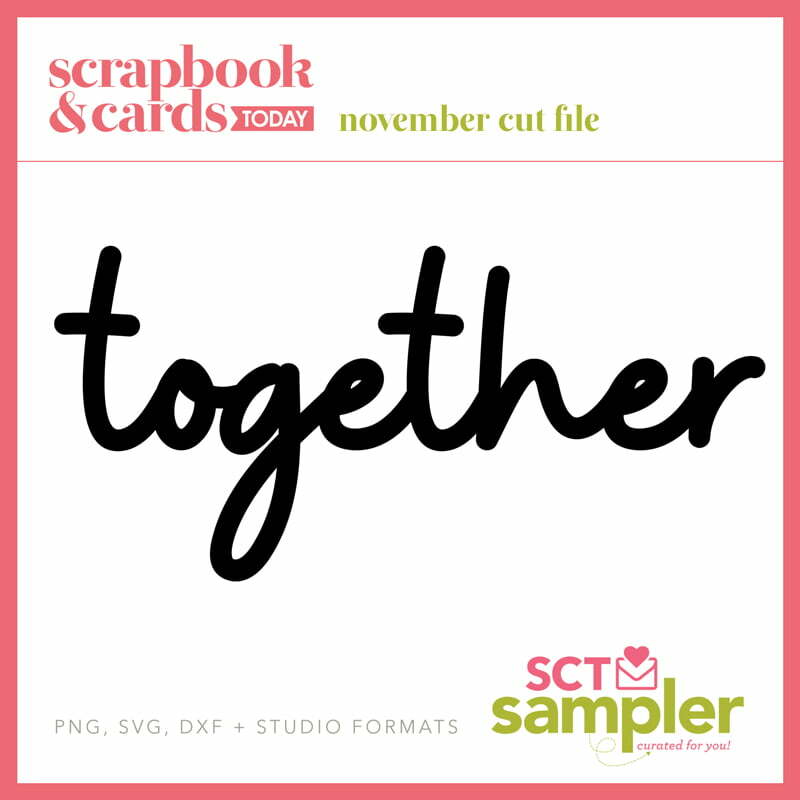 To enhance your SCT Sampler experience, be sure to check out the cut file for this month’s word “together” and be sure to look at the coupon codes below to shop for some of your new favourite things. Our next SCT Sampler opt-in period is open from November 15-25 for a January start! That means we’ve almost completed one full year. WOW, that went fast. If you started in January last year, now is the time to sign up again! We’ve got some fun things planned. Ps…you are going to LOVE December! We are putting it together right now and are excited to share. Exclusive word “together” in cork from SCT!